Please note All accessories are sold without screws and fixings except where specified. 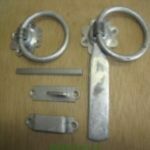 Spring lever catch set for use with 3inch wooden field gates. The set includes:- The spring fastener, the keep, the staple and the fittings. 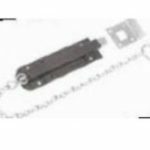 Kick over latch, most commonly used on stable doors but can be used on wooden field gates also. Galvanised drop bolt. Used to secure the centre of double gates, can also be used to keep open a single leaf gate. Has the added benefit of being able to be locked. Galvanised Lockable Pad bolt. 4″ wide, a neat looking alternative to the brenton bolt for when you are restrictrd to the length of the bolt. 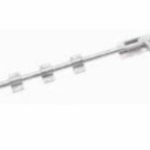 Galvanised safety hook and 6″ chain complete with eye. Gate hanging hook to build into brickwork. Available to suit 4 1/2″ brickwork and 9″ brickwork. Hook for keeping gates and doors open. Available in black japaned and galvanised finish, with a choice of 4″ and 6″ lengths. Driveway gates tend to be large and heavy so you want to be sure that the gate furniture you use is up to the task. 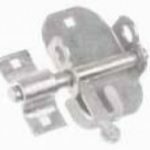 We supply all the heavy duty fittings and fixings you need to be sure your gate will remain operational for years to come. We don’t skimp on quality and for this reason we only supply galvanised fittings for driveway gates. 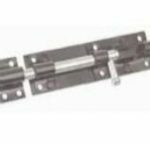 Whatever hinges, latches and catches you might need we are bound to have suitable options in stock. 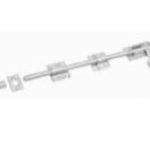 With gates this large you don’t want to mess around with tee hinges, we carry a range of heavy duty hook and band hinges that are built for heavy work. 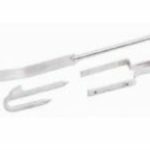 As well as standard straight hook and bands we have cranked and reversible style hook and bands. Our straight hook and bands are the basic hinge you’ll need. We offer several size variations to suit dependant on the size of the gate leaf. Our basic sizes are 18, 24, 30 and 36 inch. For larger gates that are 6ft high and 4ft wide you may need to use 3 hinges per gate. 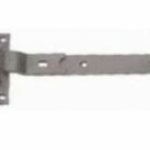 For locations where you want the gate to open inwards and want to avoid a sight gap down the side of the gate we offer cranked hook and band hinges. These are available in various size options including : 18, 24, 30 and 36 inch. 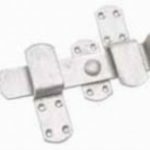 To avoid gates being lifted or removed we offer heavy duty reversible hinges. These cap the swinging pin at top and bottom so the gate won’t come off it’s hinges. These are available in 12, 18, 24 and 30 inch options. 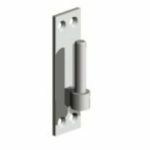 As well as hinge sets we also supply hanging plates and hooks for all situations to allow you to fit these gates to brickwork, stone work or steel posts. 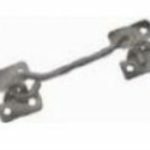 Need gate latches, locking bolts or drop bolts? We have a selection of all the common types to allow you to open or close your gate securely. 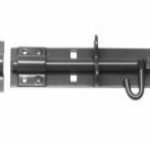 We have foot bolts, tower bolts, chain bolts and swivels that give you plenty of choice when it comes to locking your gate in position. If you are after single or multiple items of gate furniture only we would recommend you order by calling us (024 76 588 909) or by email . Simply let us know what items you need and your postal address and we can arrange a mail delivery nationwide usually to arrive with you in 3-5 working days. 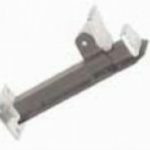 If you are after a selection of gate fittings and timber or other heavy items, please order via the cart on the site. The cart will accept your details if you are local to us. In all other cases we can arrange special delivery of heavy items nationwide if you enquire by email with details of the items you want and a delivery address.